with their classic mind-blowing Rock n Roll and moving ballads harkening back to the good ol' days of Rock n Roll they intend to write a new chapter in Rock Music and want to bring you along on the adventure. Guns N' Roses on their 'Not In This Lifetime' tour in Israel in front of 66k people. The performance garnered the band not only new fans but countless press proclaiming The Saints to be the next big thing who will bringing back the classic Rock n roll to the masses. After the massive concert with Guns N' Roses, The Secret Saints are heading in September to Los Angeles to tour for the first time around the states in the most well known venues such as the Lucky Strike, the Legendary Whisky A-Go-Go and many more, supported by 'Sailor Jerry' as their sponsors. Tal is the founder of the band "Melody Grace" that sold out shows in the biggest venues of Israel and even opened for 'The Stranglers' in Israel, performing charity acts for animals and people in need, making the whole idea of a live act to be more than just great music and performance – but with a great cause. Tal moved on to Los Angeles, where he formed 'Secret Black' and for a year and a half Tal toured LA and crushed the legendary venues such as: Whisky A-Go-Go, Lucky Strike, blending in perfectly in the local Hollywood Rock n Roll scene. 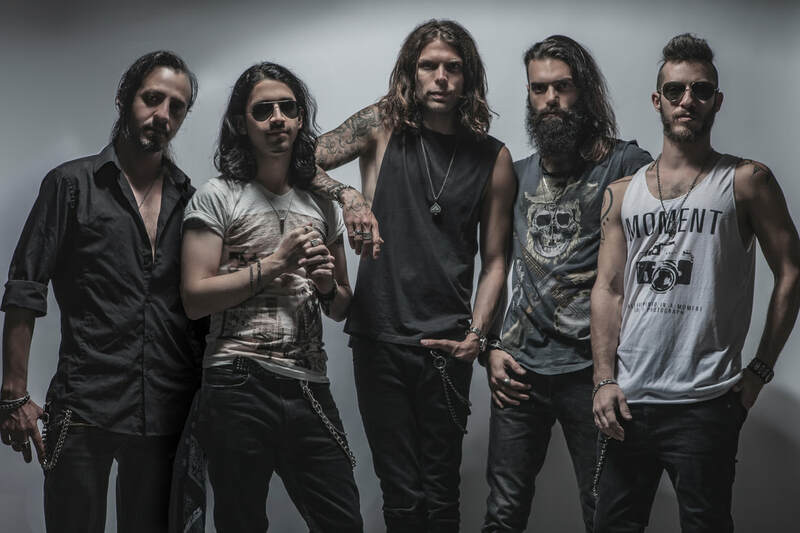 Later on Tal came back to Israel and called Chen from Orphaned Land, which together they found 'The Secret Saints' that immediately gathered fans around the local Israeli scene and around the world, Truly believing that 'The Secret Saints' are the next big thing. Chen is the lead guitar player and main composer of the Israeli Oriental Metallers, 'Orphaned land, who's been nominated winners for best live performance by the famous Metal Hammer Magazine, received countless of awards for peace efforts for bringing people together with the power of music, and even get privileged by getting the nomination for a Nobel peace prize. and much more. For years Chen is touring with Orphaned Land around the globe for over 44 countries (even toured India twice) with the ultimate goal of spreading a message of peace and unity among people no matter their gender, religion and color of skin. Orphaned Land has been the best outcome band from Israel for over 25 years, performing in the biggest festivals known to Rock & Metal music, such as: Wacken, Hellfest, Graspop and many more worldwide. Chen and Tal came together to form The Secret Saints to make it as big as ever, something the world will remember. One of Israel's finest and interesting drummers and a member of the successful band 'Shtuby' who just came back from touring around India and seizing the hearts of the fans with the power of music. & 'Random Dogs' that sold out venues and festivals around the world and in Israel. Additionally Jonathan recently completed touring around Asia with his bands. Dael is also a member of 'Random Dogs' alongside with Jonathan Alter (Drums). Together they have been touring with 'Random Dogs' and reaching out all around the biggest venues in Israel and touring in Atlanta, Georgia. Dael has been recording the 'Random Dogs' second EP in England with the well known English producer, John Mitchell. Together, Dael and Jonathan are the ultimate rhythm section. Rafael is one of the most talented guitar players in Israel, collaborating with the biggest artists of Israel.…Rafael has been a member of 'Melody Grace' alongside with Tal Shachar for year, reaching the top peek of Israel's local rock scene and performing at the best venues Israel can offer.